During their tour around Poland in late July, TechCrunch crew had a pitching and networking night in Krakow. 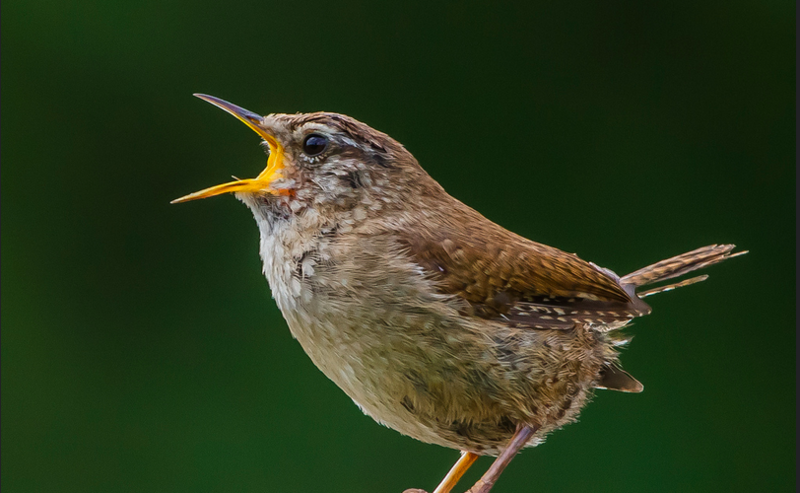 VoicePin was the number one winning a table at any of the TechCrunch Disrupt events. And two months later, on September 21st, they were pitching at FinTech part of the Startup Alley at TC Disrupt in San Francisco. 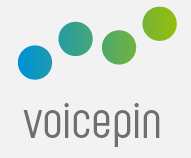 VoicePin.com was founded in 2011 in Krakow, Poland and, they develop a line of voice analytics products. The flagman offer is a cloud or on-premise solution under VoicePin brand name which provides voice biometrics technology for user verification and access control. With VoicePin technology user authentication becomes much quicker and easier since it eliminates cumbersome passwords and pin codes. According to the developers, the human voice is unique as his fingerprints are. Moreover, the technology is language-independent, meaning that it can identify a person no matter she speaks Chinese, Russian or English. Also, VoicePin software detects playbacks, which makes it impossible to cheat by recording the right voice. And even if you become hoarse you will not confuse this technology. VoicePin target clients are banks, call centers, Interactive Voice Response (IVR) help desks, IoT app developers, and they already have Polish ING Bank and Tauron Energy among their customers. Read more here (in Polish). Today Buran Venture Capital fund announced the closing of a $3.5M with ivi.ru, an online video streaming platform targetting the Russian-speaking audience. Founded in 2010, today the company boasts 20M unique monthly visitors watching more than 150M videos. Compared to last year, it managed to quadruple the revenue from subscribers. Russian and CIS online movie streaming market is a sweet spot as it’s booming. The only and major challenge ivi.ru has to overcome is the mentality in the region: often film-lovers prefer to “steal” movies using torrents, and weak IP protection laws encourage this practice. Buran’s latest investment include online learning platform Netology.ru, and a music identification app Shazam. Find attached the press release by Buran VC. Marton Anka, a Hungarian IT guru who co-founded Nasdaq-traded LogMeIn — a SaaS for remote access to desktops, laptops and mobile devices, launched a new business — Caret. They call themselves an address book of the XXI century. Basically, Caret enables you to add your contacts in groups with different level of access to your information: availability (“Do not disturb”, “I’m sleeping”, “I’m driving”), location, events in your calendar, your time zone and weather. Caret is the address book and VOiP calling app showing to selected contacts when you’re available to interact and where you are physically. But you can see updates only from those contacts who have the Caret app installed. So, to grow the user base Caret offers free VoIP calls showing caller’s name, location, distance and time zone. The app is free for users, and Anka plans making money by offering API access to developers who could integrate IoT devices with Caret. For instance, if a smart thermostat is connected to Caret, the app can turn on the hearing when the user is close to home. Jobbatical, an HR Tech startup from Tallinn, raised €510,000 in an investment round led by SmartCap with participation from Ekspress Group and angel investors. The combination of “job” + “sabbatical”, Jobbatical’s concept implies that an employee or freelancer will take a year off to take up a job opportunity elsewhere: Europe, Asia, Latin America, Unites States. Currently 87 teams from 43 countries are looking for candidates on Jobbatical platform. It is obvious, that only a certain category of people are able to go on a “jobbatical”, most likely those working in the tech industry or freelancers. As for the employers, many job offers (or one-year challenges as they call them) come from startups. I like the idea of discovering new places and cultures while applying and polishing your skills. However, in my view, as of today Jobbatical is not a viable option for couples, let alone for couples with kids. 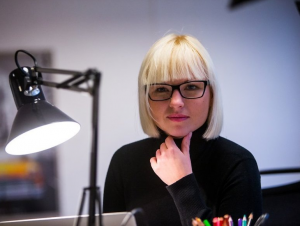 The Slovak startup Photoneo just raised one of the largest seed rounds in Central Europe. They obtained more than Euro 2 million in investment from the Czech fund Credo Ventures and other co-investors. 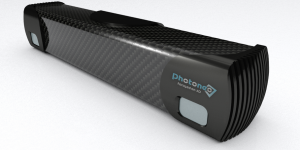 Photoneo focuses on smart vision systems and 3D vision cameras. Using their own patent-pending object-scanning technology Photoneo creates fast and high-resolution 3D cameras with unmatched performance on the market. Potential applications range from factory automation to driverless cars and improving human vision. The company already works on projects in various sectors – automotive, logistics, healthcare — and looks to expand further. Investors’ money will be used for further improving the technology and building up development and marketing teams. Prezi was founded by Peter Arvai in Hungary back in 2009, and to date it’s the world’s leading online presentation platform. It offers a tool to create interactive designs, zooming effects, and collaboration capabilities, turning a presentation into engaging storytelling. This month Prezi announced it had reached a 60 million users mark and it hosted more than 190 million public presentations. By the way, Prezi’s monetization model implies that users pay for privacy, meaning that if you want to protect your presentations you have to buy one of the subscription plans starting at $4.92 per month if billed annually. Prezi also reported its marketing partnership with hardware manufacturer Logitech (they make wireless presenters). They will collaborate to create integrated presentation solutions to further improve presenters’ and audiences’ experience. Prezi swallowed a total of $71.3 of investors’ money over a six-year span. Investors include Accel, Spectrum Equity, Sunstone Capital and Magyar Telecom. Find details on 3D Printing Industry. A month ago we published an interview with Vlad Usov, the CEO of Kwambio, a 3D printing marketplace from Ukraine backed by TechStars Boston. Khosla Ventures, which injected $1.5M in Gitlab in July, made a $4M follow-up investment in the startup. GitlLab is a Ukrainian-Dutch competitor of GitHub and the most popular open source code collaboration platform for developers (see our July recap about the previous investment round). The new investment will be spent on scaling the development, marketing and sales. The company has also announced the release of GitLab 8.0. Read more at Finance Yahoo.